The exponential pace of disruptive innovation is fundamentally changing the way we do business. For brands and organizations, digital transformation – defined by Constellation Research as the methodology in which organizations transform and create new business models and culture with digital technologies – is vital to long-term success. 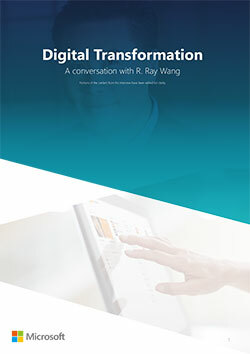 In a recent interview, Ray Wang (Principal Analyst, Founder, and Chairman of Constellation Research and author of the best-selling book Disrupting Digital Business) gave his insights on the impact of digital transformation on key business processes. In a previous post, we explored digital transformation’s impact on sales, service and marketing. In this next post of the series, we take a look at how digital transformation impacts finance (which must be on the lookout for new business models), as well as IT (which must be able to deliver technology as a service to match and facilitate). “One of the elements that finance needs to consider in digital transformation is unit cost pricing – what’s the smallest increment that you can sell to a customer of your product, service or insider experience,” notes Wang. “In business school, people talk about how you don’t sell the razor, you sell the blade. Dollar Shave Club is a great example because they’re selling shaves as a service. So if you can imagine the smallest increment of something you sell, you can do some crazy things. You can reimagine how you can craft new experiences and outcomes by doing that. CFOs now have the ability to reimagine new types of business models by understanding the smallest unit they can sell. “To succeed in digital transformation, the CIO has to be able to look at IT not in bimodal (where there’s one team focused on stability and keeping the lights on, while a separate team focuses on agility and innovation). “Basically, you’ve got a team that has to run ops so efficiently that you have your core team also spending as much time on innovation as they are on efficiency. What happens over time is you take a new idea or a new concept that’s coming because the business model is changing. “You have to first figure out how to make that work on its own, and then you have to figure out how to make that work inside your existing organization. And then, over time, you have to figure out how to do that better and faster than everyone else. That is not bimodal IT,” says Wang. “We actually have continuous sets of innovations within IT, and you have to think about how technology plays a role in supporting new business models. The average age of a mobile app on the consumer side is something like 42 days. So you no longer have these 10-year platforms. You basically have to think in terms of 18-36 months, and what changes have to happen. “And so on the IT side, you want to invest a lot more in architects. And you want to invest a lot more in folks who understand how to translate between business and technology so that you’re successful. “And over time, what’s going to happen is that the technology teams start to realize that you want to get certain things off of your team—in terms of your mission, and in terms of automation, regulatory, compliance, operations—so that as you move to the cloud, everything becomes standard. And the advantage is really what you do in terms of application development. “The companies that are going to be more innovative are going to have people that develop on platforms, people that develop and build software and technologies that don’t even exist yet to support those business models. So getting to the cloud is basically table stakes. You have to be there. But that means everyone is at the same level. Notes Wang, “Here’s the thing people don’t realize—the CIO is the grownup in the room, and in fact, the CIO is gaining more and more influence again because we have a new generation of CIOs who understand they have to innovate. It’s not about standardizing everything on one platform and making everybody force-fit to use it. Starting a digital transformation initiative? 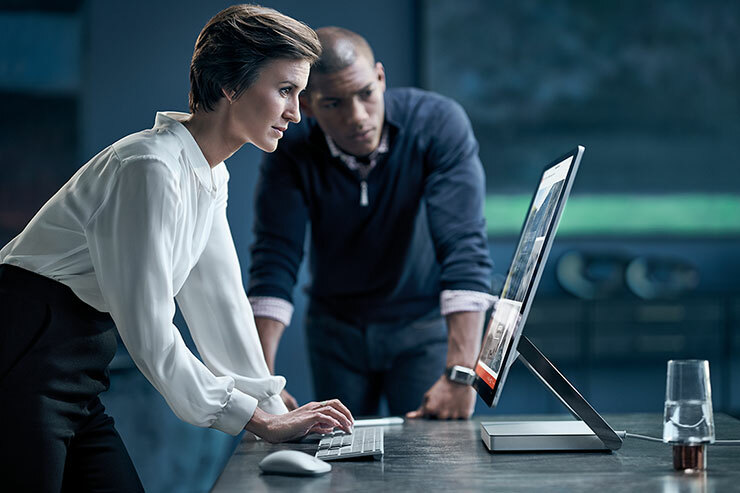 Learn more about Microsoft Dynamics 365, Microsoft's next generation of intelligent business applications. Click here.